 The Scene Magazine - Page 4525 of 4581 - What's up Toronto? The holiday season is upon us once again, and with it the familiar frenzy and excitement. Too often though, people lose sight of the spirit of Christmas and are more concerned with getting the perfect gift, tree, or turkey. Traditionally in this province, it was customary to celebrate the full twelve days with food and drink, family and friends, music, dancing and holiday plays. In recent years those traditions have fallen by the wayside, particularly the tradition of mummering. Thankfully a group of community minded people in St.John’s and the province as a whole saw the need for a resurgence in Newfoundland Christmas traditions and in 2009 The Mummers Festival was born. Billed on their website as a “participant driven, not for profit, community based folk life festival”, the Mummers Festival is a two week long series of Mummering related events,a crash course in all things Mummer if you will. This includes everything from workshops on putting together the perfect Mummer disguise or “rig out,’ to constructing traditional Mummer’s hobby horses and ugly sticks. Lectures and film screenings are also an integral part of the festival, serving to keep alive the memory of Mummering at Christmas as a tradition for all Newfoundlanders while introducing it to new commers. All of the these events culminate in the grand finale of the Mummers Festival, the Mummer’s Parade, in which hundreds of participants get “rigged out” and take to the streets of downtown St. John’s. The disguised processional dances, jigs, and reels its way through downtown streets, making merry and inviting onlookers to join the fun. The parade makes its way up the steeps hills of downtown all the way to The Rooms, where the third floor atrium is transformed into a good ol’ fashioned Newfoundland Christmas party or “time”. From there, it’s one big dress up party and dance, a mummers jam(complete with an ugly stick beat), and the performance of the traditional Mummers Play.